Well, I did it. I even did it way better than I ever imagined possible. 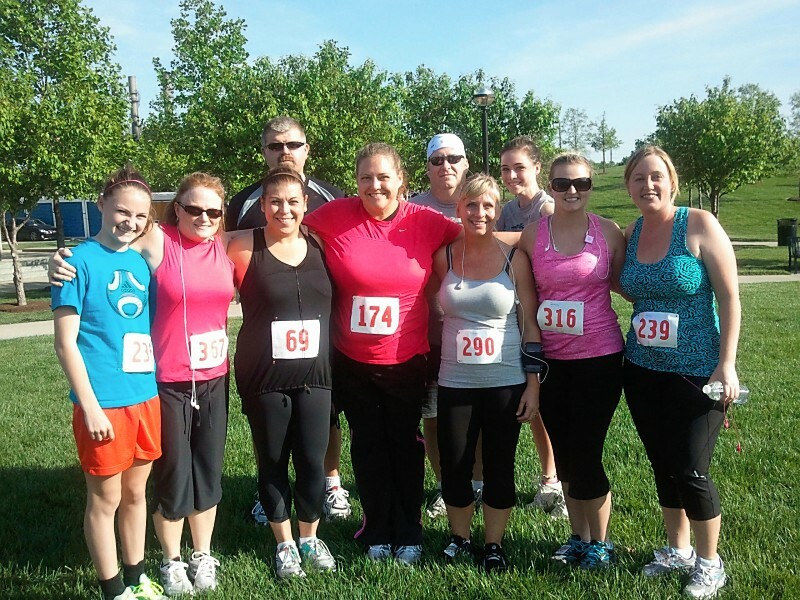 I never thought I would run a 5K. And, I didn’t totally run this one. I jogged and walked, but more jogging than walking. I’m truly happy with just that. I was nervous all day on Thursday leading up to the FDIC 5K. I tried to eat lightly and drink plenty of water. I was fortunate enough to ride with friends downtown. I love downtown, but I don’t like driving there. Ever. I’m a country girl through and through and the “big city”, as my niece calls it, scares me. Too many one way streets and too many cars on the road to get there. After we arrived we stood in line to get our timers and bib numbers. This was all so foreign to me. I didn’t even have a clue how to put on the timer, but I figured it out. 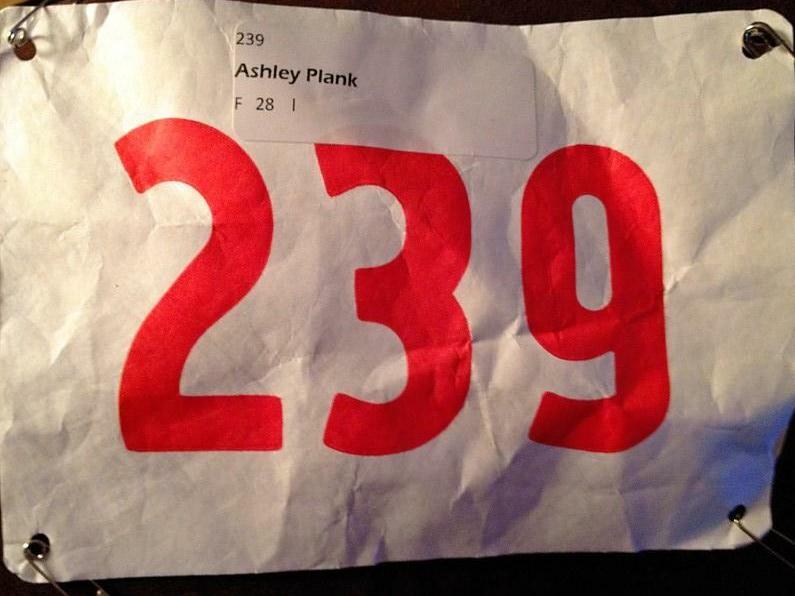 The bib number reminded me of showing hogs at the 4-H fair. Similar, but instead of having someone pin it on your back you got to pin it yourself on your front. The race started and we were towards the back. We started passing people even at our slow jog and I got a little cocky. I thought, “I got this. No big deal.” I think it was all the adrenaline that pushed me in the beginning. Finally we turned a corner and the sun wasn’t blaring in our face anymore, but instead on our back. I could handle that much better. I was having difficulty breathing and getting pains, as I always do in the first mile, and decided to stop. Ash asked me where we were at so I checked my arm band and told her .77. She went in “trainer mode” on me and said, “Come on! 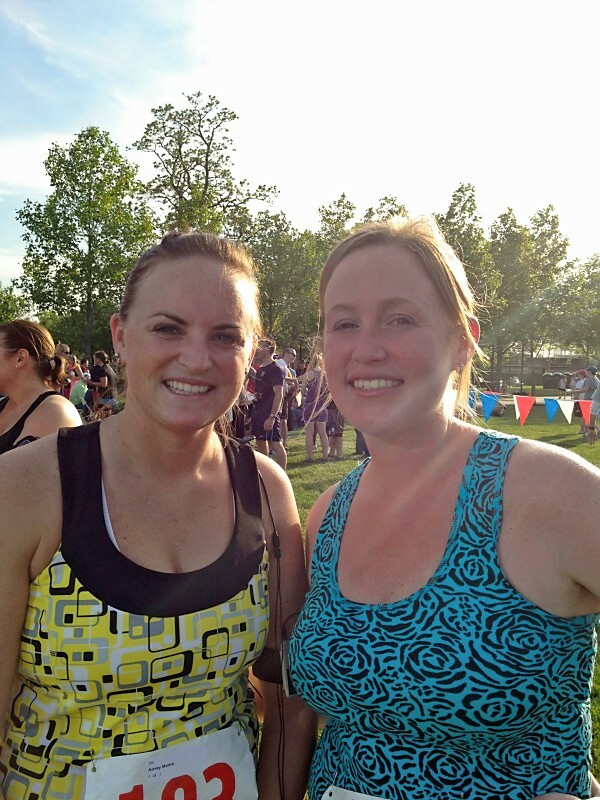 We can make it to a mile!” I tried to kindly remind her that I am NOT a runner, but a walker. But, I did make it to 1 mile and then we decided (she decided and told me) that we would walk a half mile and then jog another half. I thought that sounded like a good plan. During this part of the race a firefighter in full gear, helmet and all, passed us. I was shocked, amazed, and in awe of him. It made me want to run harder but instead we waited until our half mile was up to get going again. All in all we jogged a little over 2 miles and walked about a mile. I was pretty pleased with that. My goal was to be under 40 minutes and we finished at 39:49. More than anything I wanted my knees, hips, and back to cooperate and not over do it before the mini in 2 weeks. Nothing hurt after the run and that really left me a happy girl. I’ve already decided my next 5K goal is going to be under 35 minutes. Maybe that’s pushing it too far, but it’s worth a shot. Next up for mini training is 10 miles on Sunday! I hope the weather holds up and shines down. We’ve been very lucky this spring so far. Way to go!! And thanks for motivating me for my 5k!